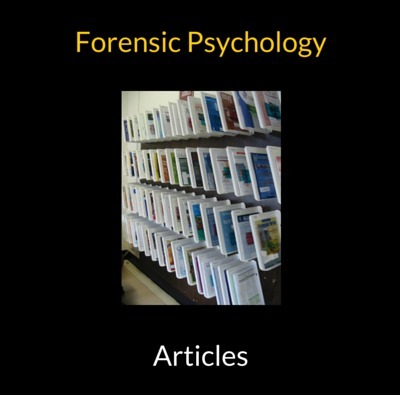 The forensic psychology articles section of the website provides free access to published peer reviewed expert articles. The authors of these publications have very kindly given permission for their work to be included here in the hope that they will spark interest in the topics, issues and research areas covered. Having read these fascinating forensic psychology articles myself I have no doubt that this will very much be the case. Terrance G. Lichtenwald, Ph.D. received a doctorate and a masters in clinical psychology from an American Psychological Association (APA) approved program at the California School of Professional Psychology-Fresno. He completed an APA-approved internship in Clinical Psychology at the Veterans Administration Medical Center in North Chicago, Illinois. Dr. Lichtenwald also has a masters in school psychology from the University of Wisconsin-Whitewater. His bachelor's degree is from the University of Wisconsin-Madison in broad field social studies and psychology. Dr. Lichtenwald has spent 25 years completing forensic, behavioral, psychological, and security evaluations, and threat assessments. He completes research in forensics with specific interests in smuggling and fraud. Dr. Lichtenwald's email contact is terry@drlichtenwald.com. Written communication can be sent to 6260 E. Riverside Blvd., PMB 141, Loves Park, IL. 61111. Frank S. Perri, JD, MBA, CPA, has worked as a trial attorney for over 12 years. Areas of concentration include whitecollar crimes and homicide. Perri received his Juris Doctor from the University of Illinois. He received his master's degree in business administration from Case Western Reserve University and his bachelor's degree in economics from Union College. In addition, Perri is a licensed Certified Public Accountant. He frequently lectures on both whitecollar and red-collar crime issues. Paula MacKenzie, MSEd., PsyD, ACFEI member, earned her Bachelor’s of Science degree from Bradley University majoring in Psychology and Social Services and a Master’s of Science Degree in Education where she specialized in Counseling Psychology at Northern Illinois University. Dr. MacKenzie recently completed her Doctoral Training in Clinical Psychology with a specialization in Forensic Psychology. Ms. Mackenzie’s specialization includes emergency services, analysis of extremist group behavior, assessment of psychopathology, and psychological testing and assessment. The Case of Ditto Block: A Study of Special Weapons and Tactics, Antisocial Personality, Mental Illness and Barricade Offenders by Terrance G. Lichtenwald and Frank S. Perri International Journal of Criminology and Sociology, 2018, 7, 59-114. Red Collar Crime By Frank S. Perri. International Journal of Psychological Studies; Vol.8, No.1; 2016, 61-84. Fraud Rationalizations and the Guilty Mind By Frank S. Perri & Edyta M. Mieczkowska. Fraud Magazine, March/April 2015, 43-47. Sutherland, Cleckley and Beyond: White-Collar Crime and Psychopathy By Frank S. Perri, Terrance G. Lichtenwald & Edyta M. Mieczkowska. International Journal of Psychological Studies, 2014, Vol. 6, Issue, 4. 71-88. Debunking the Myth of the Out of Character Offense By Frank S. Perri, Richard G. Brody & Justin M. Paperny. Journal of Forensic & Investigative Accounting, 6(2), 1-51, 2014. Visionaries or False Prophets By Frank S. Perri. Journal of Contemporary Criminal Justice, 29(3), 331-350, 2013. Terrorist Use of Smuggling Tunnels By Terrance G. Lichtenwald & Frank S. Perri. International Journal of Criminology and Sociology, 2, 210-226, 2013. Affinity is Only Skin Deep: Insidious Fraud of Familiarity By Frank S. Perri & Richard G. Brody. Fraud Magazine, March/April 2013. The Optics of Fraud: Affiliations That Enhance Offender Credibility By Frank S. Perri & Richard G. Brody. Journal of Financial Crime, 19(3), 305-320, 2012. Emerging Issues in Fraud Research By Richard G. Brody, Sara R. Melendy & Frank S. Perri. Accounting Horizons, 26(3), 513-531, 2012. A Maritime Assessment of Sea Based Organizations and Terrorist Operations By Lichtenwald, T.G., Steinhour, G., & Perri F.S. Journal of Homeland Security Affairs. 8(13), 1-24, 2012, August. Birds of The Same Feather: The Dangers of Affinity Fraud By Frank S. Perri & Richard G. Brody. Journal of Forensic Studies in Accounting and Business, 3(1), 33-46, 2011. White collar criminals: The ‘kinder, gentler’ offender? By Frank S. Perri. The Journal of Investigative Psychology and Offender Profiling, 8(3), 217-241, 2011. The Sleeping Watch Dog: AKA The Securities and Exchange Commission By Frank S. Perri & Richard S. Brody Journal of Financial Regulation and Compliance, 19(3), 208-221, 2011. The Flawed Interview of a Psychopathic Killer: What Went Wrong? By Frank S. Perri. Journal of Investigative Psychology and Offender Profiling, 8(1), 41-57, 2011. The Perils of Fraud Detection at Work By Frank S. Perri. Forensic Examiner, 20(1), 114-124 2011. Smuggling Tunnels: The Need for a Transnational Analysis By Terrance G. Lichtenwald & Frank S. Perri. Inside Homeland Security, 9(1), 52-69, 2011. White Collar Crime Punishment: Too Much or Not Enough By Frank S. Perri. Fraud Magazine, January/February 2011. The Dark Triad: Organized Crime, Terror and Fraud By Frank S. Perri & Richard G. Brody. Journal of Money Laundering Control, 14(1), 44-49. 2011. The Sallie Rohrbach Story: Lessons for Auditors and Fraud Examiners By Frank S. Perri & Richard G. Brody. Journal of Financial Crime, 2011, 18(1), 93-104. The Fraud Terror Link By Frank S. Perri. Fraud Magazine, July/August 2010. Victims' Advocacy Organizations: The Missing Link in The Fight Against Fraud By Frank S. Perri. Fraud Magazine, May/June 2010. Falsely Accused: The Wrongful Conviction of Alan Beaman By Frank S. Perri. Forensic Examiner, Winter 2009, 55-56. The Precarious Use of Forensic psychology as Evidence By Frank S. Perri & Terrance G. Lichtenwald. Champion Magazine, July 2010, 34-45. The Last Frontier: Myths & The Female Psychopathic Killer By Frank S. Perri & Terrance G. Lichtenwald. Forensic Examiner, Summer 2010, 50-67. Evil Twins: The Crime-Terror Nexus By Frank S. Perri, Terrance G. Lichtenwald & Paula M. MacKenzie. Forensic Examiner, Winter 2009, 16-29. Smuggling Multi-Consignment Contraband: Isolated Incidents or a New Trend? By Terrance G. Lichtenwald, Frank S. Perri & Paula MacKenzie. Inside Homeland Security, Summer 2009, 17-31. When Worlds Collide: Criminal Investigative Analysis, Forensic Psychology, and the Timothy Masters Case By Frank S. Perri & Terrance G. Lichtenwald. Forensic Examiner, Summer 2009, 52-68. The Lull Before The Storm: Adult Children Who Kill Their Parents By Frank S. Perri, Terrance G. Lichtenwald & Paula MacKenzie. Forensic Examiner, Fall 2008, 40-54. A Tale of Two Countries: International Fraud-Detection Homicide By Frank S. Perri And Terrance G. Lichtenwald, Forensic Examiner, Summer 2008, Vol 17 Number 2, 72-78. The Arrogant Chameleons: Exposing Fraud Detection Homicides By Frank Perri And Terrance G. Lichtenwald. Forensic Examiner, Spring 2008, Vol 17 Number 1, 26-33. Educating Judges Presiding over Fraud Cases By Frank S. Perri. Fraud Magazine, 22(2). 2008. Fraud Detection Homicide: A Proposed FBI Criminal Classification By Frank Perri And Terrance G. Lichtenwald. Forensic Examiner, Winter 2007 Vol 16, Number 4, 18-30. Drug Smuggling Behavior: A Developmental Smuggling Model (Part 2) By Terrance G. Lichtenwald. Forensic Examiner, Spring 2004, Vol 13, 14-22. Drug Smuggling Behavior: A Developmental Smuggling Model (Part 1) By Terrance G. Lichtenwald. Forensic Examiner, Nov/Dec 2003 Vol. 12, 15-22. Dr. Raymond H. Hamden earned a Ph.D. in Psychology and continued post-graduate studies in Modern Psychoanalysis. Dr. Hamden consults in Clinical Psychology, Domestic Relations, Crisis Intervention, Trauma, and Homeland Security (Diplomate, American College of Forensic Examiners International), Certified Medical Investigator – Level V and Certified in Homeland Security – Level V, Certified Forensic Consultant (peer review and examination). Prior to coming to Dubai in 1990, Dr. Hamden was in private practice in Washington, D.C.
With the University of Maryland, Dr. Hamden was a 1986 Visiting Fellow at the Center for International Development and Conflict Management. He coined the term “The Retributional Terrorist – Type 4”. Published as a chapter in a 4-volume text entitled The Psychology Terrorism, Dr. Chris Stout (editor, 2002) and a chapter entitled "Unresolved Trauma and the Thirst for Revenge: The Retributional Terrorist" for Volume I of a three-volume project by James JF Forest, Ph.D. of The West Point United States Military Academy, Dr. Hamden is presenting workshop/ seminars in the topic of Terrorist Profiling: a Psychological Perspective. For professional distinction, Dr. Hamden was awarded the status of FELLOW by the American College of Forensic Examiners International, where he serves as a Board of Advisor member on the American Board of Psychological Specialties and was selected as Vice-Chair (2007-2008). He also holds Board of Advisory post on the new American Board of Crisis and Emergency Management. By invitation, Dr. Hamden has presented before the US Senate and wrote for the US House of Representatives: “Psychological Aspects of IsTishHad: Suicide or Sacrifice” expert witness testimony presented before the United States Senate Anti-Terrorism Caucus, special topic on the Middle East suicide missions. Washington, D.C. 26 March 1986 AND “Islamic Fundamentalism: Terrorism or Psychological Resistance” written testimony submitted to and published in the series of HEARINGS before the subcommittee on Europe and the Middle East of the Committee on Foreign Affairs, U.S. House of Representative. Washington, D.C., Fall / Winter 1985, Page 416-425. The International Union of Psychological Sciences (IUPsyS) in collaboration with The International Academy of Applied Psychology (IAAP) and The International Association of Cross Cultural Psychology (IACCP) selected Dr. Hamden as President of the 1st Middle East / North Africa Regional Conference on Psychology (MENA RCP) held December 2003 in Dubai, United Arab Emirates. Dr. Hamden is a Life Member in the Association of Psychological Sciences (formerly American Psychological Society), International Society of Political Psychology, International Council of Psychologists, and American College of Forensic Examiners International. Currently, Director of Human Relations Institute, Dubai Knowledge Village (United Arab Emirates), he also consults via his Washington, DC location in International Forensic and Political Psychology. The program, In The Psychologist’s Chair, debuted in Dubai with a season of VIP guests. He also consults as a Media Psychologist to various Media Groups, regionally and internationally. Dr. Hamden has consulted on-site in Baghdad Iraq, Kabul Afghanistan, Saudi Arabia, Syria, Lebanon, Algeria, and other locations throughout the Middle East / North Africa and globally. Dr Stephen M Pittel is a forensic psychologist who specializes in both civil and criminal cases that primarily involve the effects of drugs and alcohol and related mental states. 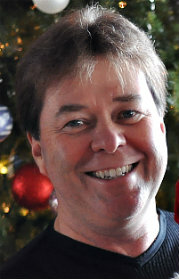 His forensic work is based on a thirty year career as a pioneer in the field of substance abuse research and treatment. As Director of the NIMH funded Haight-Ashbury Research Project in the mid-1960’s and founder and Director of the Berkeley Center for Drug Studies from 1972 to 1985 he has published more than 150 scientific papers and reports on the causes, patterns of use, and effects of psychoactive drugs including LSD and related hallucinogenic drugs, marijuana, amphetamines, cocaine, heroin, PCP, alcohol and sedative-hypnotic drugs. He has also published on a wide variety of other topics including moral development, personality assessment, treatment delivery systems, aftercare, planning techniques, program evaluation, jury selection and conflict resolution. Dr. Pittel has worked directly with the treatment of substance abusers as the Director of a multi-modality treatment program in San Rafael, CA and as the Principal Investigator and Director of a NIDA funded clinical demonstration research project on the aftercare needs and community rehabilitation of drug abusers. The most recent revised version of the Drug Abuse Treatment Referral System he developed in 1970 is still considered to be the most effective technique in use for determining the most appropriate treatment for substance abusing clients. It has been used to assess the treatment needs of drug abusers by federally funded Treatment Alternative to Street Drug (TASC) Programs, the California Youth Authority and by state, county and local drug treatment and diversion programs in more than 30 states. Dr. Pittel has been a consultant to the White House Office of Drug Abuse Policy, The National Institute on Drug Abuse, the State Department Bureau of International Narcotic Matters and many other federal, state and local substance abuse treatment programs and agencies. He has worked with Law Enforcement and Criminal Justice System programs to develop and evaluate prison based substance abuse treatment and rehabilitation and drug diversion programs in California, Oregon, Delaware, and Massachusetts and in more than 200 public and private treatment programs and delivery systems throughout the country. He has also worked with the State Department Bureau of International Narcotic Matters, the World Health Organization and the United Nations Fund for Drug Abuse Programs to develop drug abuse treatment delivery systems in Pakistan and Malaysia, and to train indigenous substance abuse providers in these and other countries. Dr. Pittel maintains a database of more than 10,0000 references on the effects of psychoactive drugs. He has also maintains bibliographies on childhood and adolescent risk factors for adult substance, cognitive and other mental impairment associated with both acute and chronic substance abuse and on toxicological and other methods of identifying drug use and intoxication. Dr. Pittel has been qualified as an expert witness on the substance use and abuse, and on its relation to driving ability, violence, mental states and related matters. He has testified approximately 200 times in both civil and criminal cases in Superior Courts in California and other States, and in Federal District and Military Courts throughout the country. It is with great regret and sadness that I have to inform you that Dr. Stephen M. Pittel died on August 29th 2011 at the age of 73. 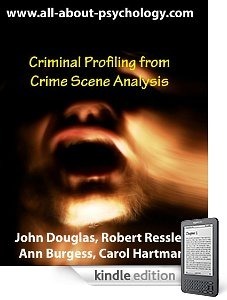 See following link for details of a fascinating collection of landmark publications written by members of the Behavioral Science Units, National Center for the Analysis of Violent Crime which were released by the U.S. Department of Justice as part of the information on serial killers provided by the FBI's Training Division.